Number sequences are very important in the symbolic language of Angels. The more repetition, the greater the importance of the message has that’s coming to you; this is true with Angel Number 1111. As a combination of four ones, this sequence represents fresh beginnings. Find out what else 1111 means when it begins appearing in your life now! There is a tremendous change going on, and you can start anew with a strong sense of self. Joy resonates around you along with inventiveness that comes directly from your motivation and tenacity. The Angels are telling you to create the reality you most want. When you acknowledge that 1111 is speaking to you, your life will begin moving in new directions. There’s a lot of the world to see, and things to do; this is a time of building experiences that you remember always. Light Workers tell us that Angel Number 1111 is sort of like a doorbell. It announces an awareness that’s about to walk through your front door; this is the start of a true spiritual awakening where you become more aware of what lingers in your subconscious and what your Higher Self tries to convey. Just before 1111 showing up in life, many people report having a tragedy or some challenging trial; this situation had many lessons associated with it. The wonder of 1111 is that it brings triumph out of the darkness. You will begin to feel like your witnessing miracles, and experiencing odd happenstances that are anything BUT coincidental. The Angels are on the move! 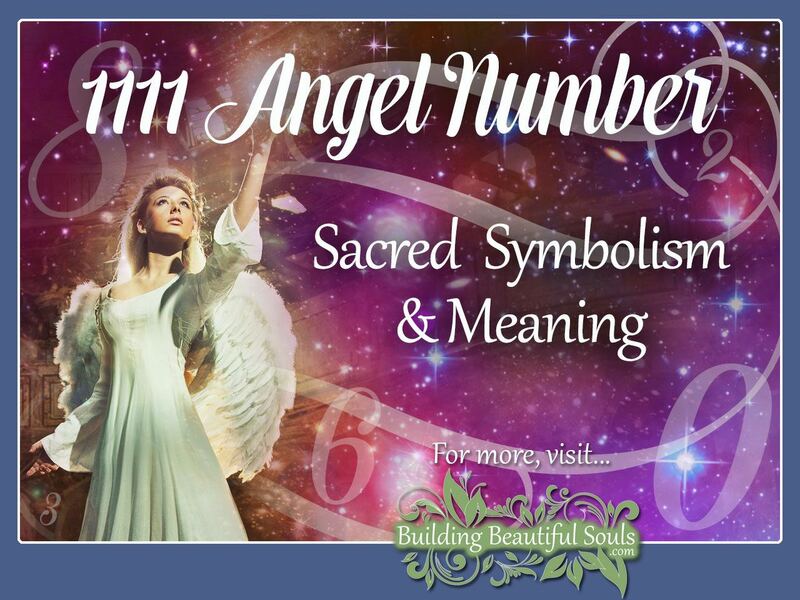 As you work with the Angel Number 1111, it’s common for you to have a significant epiphany. 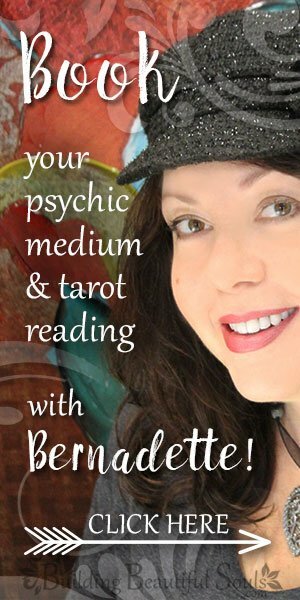 The insight you have is typically about yourself and your place in the Cosmic Order. At the same time, things in your day to day reality are also transitioning; this happens very quickly so get yourself grounded and ready to accept the changes that the Angels are bringing your way. At the moment you become aware of the presence of 1111 energies, take a second to think about what you were just pondering before that. Perhaps you were considering a move or a new job. Angel Number 1111 gives you the green light. That thought form put into action will bring you positive outcomes. If you think of 1111 as a bridge between notions and deeds, you will better understand how 1111 works. How many times have you had an idea that you couldn’t express adequately? Angel Number 1111 supports improved communication and the ability to convey your vision in terms others can understand. Another message from Angel Number 1111 is to remain wholly aware of the things on which you focus. The mind is a fantastic tool for manifestation. Nonetheless, when focused on a negative that can come into being just as easily as the good stuff. Keep it positive. Humans are very habitual, so it may take some time and practice to grow positivity and optimism. It’s worth the effort and supports the Law of Attraction in every aspect of your life. Number 1111 has a strong humanitarian element. You begin to think more globally in terms of how to apply your skills for the greatest good possible. The only caution here is not overextending yourself and your energies. Splitting yourself between dozens of projects often leaves them all wanting. Try to hone in your focus for greater results. As 1111 continues appearing you may find people who never paid much attention before suddenly noticing you. They may even come to you for advice; this is a natural result of your inner light shining ever brighter. You vibrate with hope and awareness. People cannot help but feel the pull toward Divine and Angelic energies. The Guides and Teachers are wholly aware of your uniqueness in this world. At this moment it is your task to discern that for yourself and honor it; this is where 1111 becomes very personal and intimate. Spiritually 1111 conveys the message of the oneness of all things. Everything is connected, and that includes your Angels. There is truly no barrier between the worlds you cannot overcome when you believe with your whole heart. Put down the doubt and take up faith. The Ascended Masters are in on 1111’s lesson too. They work as a team with your other Heavenly assistants. It’s not like they are ganging up on you. Rather, the guidance Masters and Angels provide is very loving and gentle. The message is simple: You have everything you need to move toward enlightenment written in your soul. It’s time to read that book more closely. As a caveat, realize that Angels, Masters, and not even God can force a change in your life. You are being handed an open door, an opportunity. Ultimately it’s up to you whether you walk through. Wobbling a bit is okay. In the music of your life, this is a pretty big crescendo. You may not feel quite ready to hit the high note of ascension. That’s why the Angels are here. They can lift you with love and believe you are ready. One suggestion from Light Workers is remembering your own truth. You can read 101 articles about Angel Numbers and look them up on a computer. Ultimately, however, you need to dig deep into yourself and discover that personal message that’s meant just for you. Humans often struggle with this concept because we don’t trust our inner voice and intuition. Building that trust is part of the 1111 vibration. Once the message becomes clear, remember to thank your guides for coming to your aid. When it comes to your relationships and connections, 1111 Angel Number Love is one of synchronicity. The people you are meeting right now are not merely a matter of happenstance. Keep your eyes open and listen closely to your energetic compass. When you feel that tingling that says, “hey this is someone special” take note and make efforts to build on that connection. A second message from 1111 Angel Number in love is that you need to step away from negativity be it from yourself or your partner. Continuing to think in the current manner (and act on it) is setting up an unhealthy cycle. See, while 1111 is a number of new beginnings, whether that’s a good thing or a bad thing remains in your hands. Using the power of positivity doesn’t mean you overlook obvious issues. Instead, it puts a different perspective on how you resolve them. Enlightened souls tell us that the 1111 Love Number is a wishing cue. When you notice it repeatedly coming up somehow tied to you and your current partner – make a wish! Put an intention out to the Universe and watch expectantly. Similar to other systems of interpreting the digit 1111, Numerology looks first at the Master Number 11, appearing here twice. Master Numbers align themselves with higher realms and purposes, including the Ascended Masters like Buddha. 11 represents vision, revelation, idealism, and the hand of fate. You have something truly special within, and now it’s time to really let that light shine outwardly. In the Tarot Justice is the 11th card. As the name implies, this is fairness, balance, responsibility, and cause-effect all rolled up into one. Double that, adding Master Number energies, and we see a time when equity returns to your life, often from some past injustice; this, in turn, provides closure so you can move forward with greater peace of mind into something fresh and new. The symbolism and meaning of the number 1111 in the Bible have foundations in the number 11. Where ten represented the law, 11 is disorder. Genesis 11, for example, speaks of the Tower of Babel and judgment for rebellion. John the Apostle saw 11 things happen in connection with the end times in Revalations. On a slightly happier note, Isaiah’s call to God’s commission appears 11 times in the New Testament. Words and phrases that add up to 1111 in the Bible include anoint (2 Corinthians), proceed (Mark), foundation (Psalms) and Breath of Life from God (Genesis, Job, Luke). Pure light energy is coded into human existence. We are starlight and moonbeams. We are magical. The Angels and Ascended masters learned this lesson long ago. Now it’s your turn. 1111 keeps repeating? There is nothing to fear here. These beings come to heal the bumps and bruises of daily living, while also instilling a deeper sense of our spirituality. Visualize the Light coming from the Heavens, into your body and filling it from tip to toe with sparkling wonder! Keynote energies that 1111 brings into your life include those for self-awareness, triumph, focus, freedom, healing, your soul’s contract, and overall awakening. You’ve spent a long time waiting; this is your time to tune into the Universe’s radio dial. Let that wavelength lift your spirit to higher levels than you’ve ever thought possible. When you release and allow, your awareness reaches greater focus and accuracy. Note that this may make some in your Circle feel a tad antsy. People cannot hide the truth from you anymore. You feel their sadness, their joy and everything in Between. This empathy can overpower you as well until you learn to control it, akin to a dimming switch. Other realms are always around us. 1111 opens doorways to those places and the beings that abide there. The veil between worlds remains firm until you understand that you are one with those spaces and places already. You are already discovering the spiritual nature of things “unknown.”Tread respectfully in your travels. Listen a lot! As you show honor and gratitude toward the powers-that-be, more and more information and insights open for you. From this point forward simply remain authentic. Your adventure in being human isn’t done yet. It just got a whole lot more interesting.